I know, I say The Bee Gees and your eyes roll and you start to snicker, conjuring up sounds of bung-jaga-jaga- jaga and sights of a studly Italian undulating cockily down the street in flared white pants so tight you can see his gjamidanker. I’m talking about the other Bee Gees. The ones who once upon a time were compared favorably with, ahem, The Beatles. Yes, Virginia, really. You see, les frères Gibbs used to be sound like three white Australian brothers. Before they started sounding like three black American sis-tahs. So unroll those eyeballs, cowboys and Indians, and listen to the tale of The Bee Gees, Incarnation #1. Barry (b 1946) and twins Robin (b 1949) and Maurice (inexplicably also b 1949) were b’ed on the Isle of Man. In 1958 the parents moved to Australia (I think because they wanted a daughter), where the boys drank a lot of milk, underwent puberty, and sang together so well they had their own Brisbanean TV show. (Here’s an example, but I’m warning you, I couldn’t sleep for a couple of nights after watching it, so use your own judgment.) But they had their eyes on the big-time, which in 1966 was good old England. So back they went. The England to which they returned was producing a new brand of ‘pop’ music: ‘Strawberry Fields Forever’/’Penny Lane’, ‘Let’s Spend the Night Together’/’Ruby Tuesday’, ‘Whiter Shade of Pale’. America was in its original flush of psychedelia – ‘Purple Haze’, ‘Light My Fire’, ‘Somebody to Love’. …Their first single, ‘New York Mining Disaster’ …was like having a wonderful new Beatles single out on the market. For those who were bewailing the loss of the comparatively uncomplicated pre-Sergeant Pepper Beatles, the Bee Gees were a godsend and their first album a delight. …They sounded more like the Beatles than the Beatles ever did and … they wrote songs considerably better than the Beatles had done that early in their career. Huh? Are we talking about the same guys? Well, yes. See, when the Bee Gees hit the radio in mid-1967, they were decidedly Old School. ‘Words’ and ’To Love Somebody’ sounded more like ‘Norwegian Wood’ ‘We Can Work It Out’ than did ‘All You Need is Love’ and ‘Lucy in the Sky with Diamonds’. Sure, we loved our head music. But there were also those daytime hours when your mind was lucid and you wanted to hear something pretty. They had this string of hits in 1967-68 that took a back seat to none, not even that group they followed in the encyclopedia alphabetically (I don’t mean Jeff Beck). ‘New York Mining Disaster, 1941’, ‘To Love Somebody’, ‘Holiday’, ‘Words’, ‘I Started a Joke’, ‘Massachusetts’, ‘I’ve Gotta Get a Message to You’, ‘I Can’t See Nobody’, ‘World’. Each one a gem, carefully crafted, exquisitely orchestrated, flawlessly performed, with a strong, memorable melody, and lyrics ranging from the poetic to the enigmatic to the self-consciously cryptic. But the Bee Gees provided beautiful songs, beautiful performances, beautiful productions, all within a ‘Yes, I am experienced’ context. And you can never get enough of beautiful songs, can you? As impressive as their recordings were, they couldn’t duplicate the lush, extravagant productions live. By 1969 they’d split up, regrouped a year later, floundered for five years till The Plague of 1977, when young people on both sides of the ocean began to display inexplicable weekly episodes of convulsive twitching, what subsequently became known as The Saturday Night Fever. The rest, as they say, is hysteria. I like the Bee Gees, even after they became sista’s. Besides, the same think happened to Michael Jackson, only in reverse. He went from being a poor black boy to being a wealthy white woman. My apologies! I dug deep into the internet, and discovered that the Purple Haze cover I remember hearing was not by the Bee Gees…it was by Dion. I’m a giant Dion fan. Purple Haze?? Really?? DVD “In Our Own Time” is a real Bee Gee treat. Their talent is undeniable. The BG`s were gr8 1st time around and second-time! Great songs–lyrics–music. God bless `em. The early Bee Gees where the best, and don’t forget And The Sun Will Shine, First of May, and Saved By The Bell. I liked both , The Early years has a nostalgic memory , I saw them live , sing without a band at Asquith Girls High School Fete , I think 1964 . Once again we seem to totally agree. Terrific in the sixties. Could never get past their turn to the Chipmunks in the disco era. A few of the SNF songs (More than a Woman) had some of the old charm but I mostly couldn’t get past Barry’s new chirpiness. Both phases of the BeeGees were pretty glorious, IMHO. Goosebumps the first several times the eerily beautiful New York Mining Disaster came on the car radio and involuntary top-of-the-lungs sing alongs every time To Love Somebody or Words or Got to Get a Message to You choruses started. 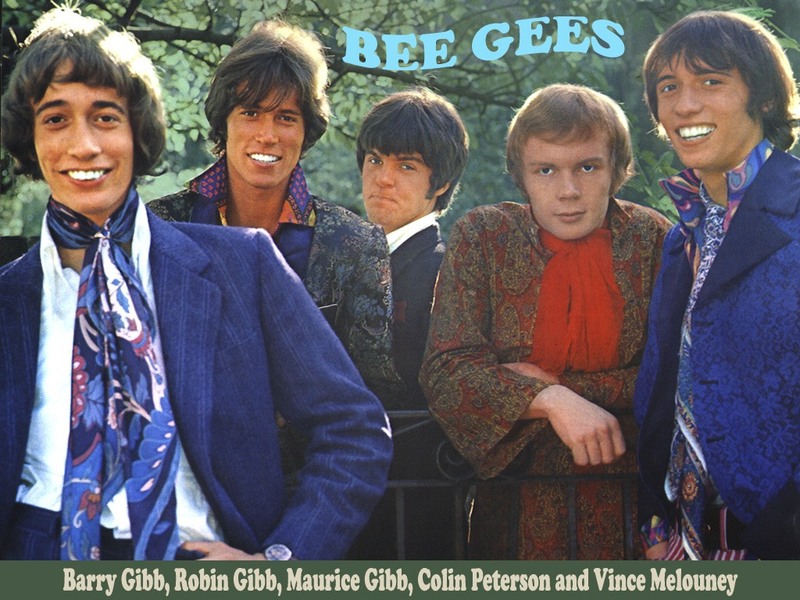 The Gibb boys could write irresistible pop, to be sure. But who knew they could craft such groovy r&b? The Main Course lp is a gem, and Travolta’s macho strut down 86th street to Arif Mardin’s percolating production of Stayin’ Alive made indelible movie magic. 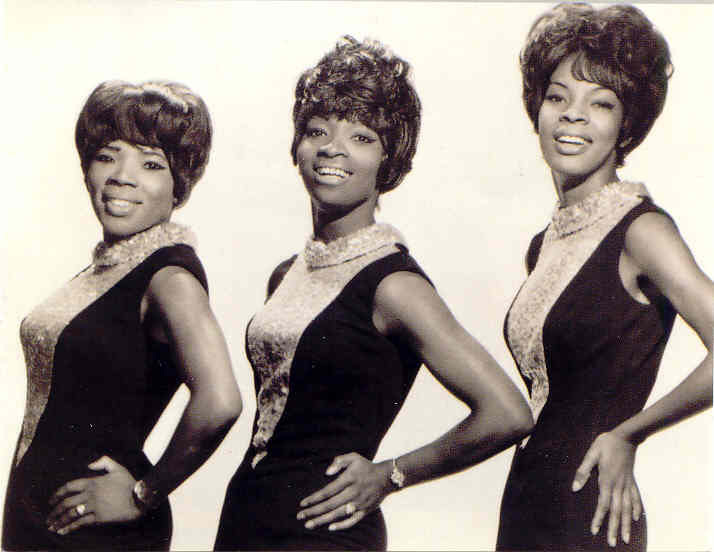 And Too Much Heaven rivals anything out of the Philly soul heyday. The BeeGees had it all -immense and unique talent, songwriting and arranging chops for days, drive, large, gleaming teeth, and a survivor’s instinct to change and grow. And I still dial them up in the car on road trips and sing myself silly. 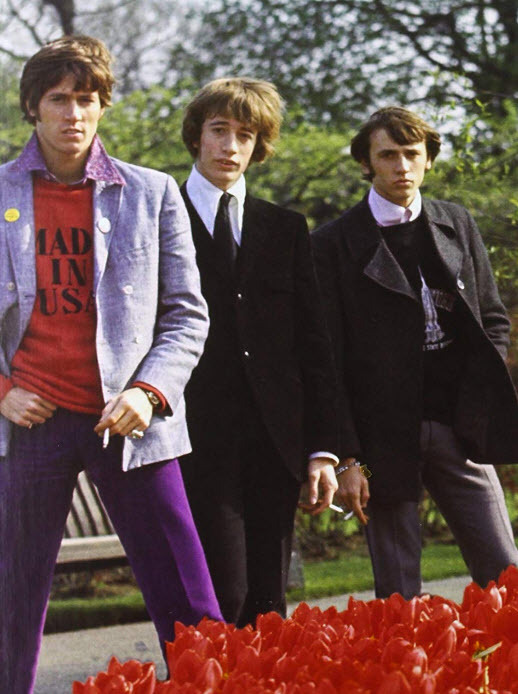 The early Bee Gees were pretty trippy, however close to the mainstream they may seem in retrospect. Their first American album had a cover by Klaus (“Revolver”) Voorman and ended with a big production that wasn’t exactly “A Day in the Life” but was almost equally stentorian ( https://www.youtube.com/watch?v=-KzkIQonfk8 ). 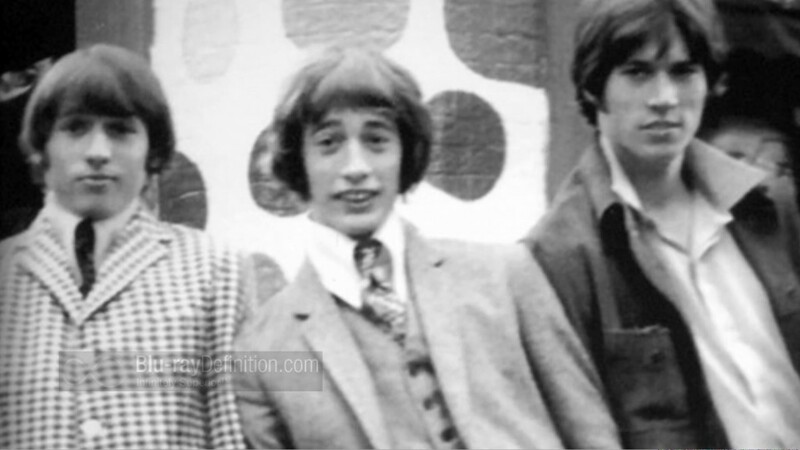 In addition, Robin Gibb had a weird voice and was perhaps the ugliest male singer ever to dare solo in front of a TV camera. I discovered the Bee Gees at 13, with the “Children of the World” album, the immediate predecessor to “Saturday Night Fever.” I don’t think my continued affection for their output in that era is entirely nostalgia; as one critic said, “Stayin’ Alive” would probably be a hit in ANY pop era. But when I started exploring their earlier songs, they seemed unaccountably odd, maybe even on occasion self-sabotaging. “Fanny (Be Tender with My Love) is gorgeous, but there’s never been a teen alive who can hear it without snickering at “Fanny.” Almost ANY name would’ve been better (“Bertha [Be Tender with My Love]”?). Still, I agree with you on “Holiday”; it’s a perfect time capsule, for a time I had to learn about later because I was a toddler. For those who enjoy the early Bee Gees songs with Robin Gibb on lead vocals, I recommend giving a listen to Robin’s solo albums.There are some achingly beautiful songs there. I think one of their best songs is from that middle period you refer to as their “floundering!” I have always really liked “How Can You Mend a Broken Heart.” They had at last a couple of other hits during those middle ages, too- “Lonely Days [and Lonely Nights]” and “Run to Me.” Neither as good as Broken Heart in my opinion (and Run to Me is pretty sappy), but still better than floundering! Mea culpa. I spoke glibly. I don’t know the middle of their corpus well enough to make that kind of judgement.